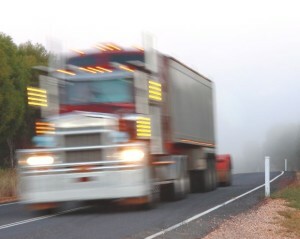 Injured in a tractor trailer accident? We’ll help you get the compensation you deserve. Eighteen wheelers and tractor trailers are necessary to our city and region’s sustainability and efficiency, but sadly, they can also be a danger on our roadways. When a standard-sized automobile collides with a tractor trailer, the outcome typically favors the truck driver. In fact, accidents involving tractor-trailers are usually more catastrophic and devastating than any other type of collisions on our roadways. Tractor trailer drivers are often required to travel long distances and meet tight deadlines, preventing them from getting adequate sleep. Plus, the speed, size and large blind spots of transfer trucks make them more challenging to manage. Semis, tractor-trailers, and eighteen wheelers carry loads weighing thousands of pounds. A normal load for one of these large trucks can range from 10,000 to 80,000 pounds. Imagine a vehicle of this size carrying this amount of weight colliding with the average automobile or SUV. Severe injuries are very common in collisions with these large trucks. And unfortunately, it’s estimated that about 10% of individuals involved in a tractor-trailer wreck lose their lives. If you or someone you love has been the victim of a tractor trailer accident, please contact us as soon as possible to discuss your situation. We have had many successful results on behalf of our clients in handling tractor trailer accident cases. Should you suffer personal injury as a result of a collision of this type it’s important to be aware that tractor-trailer accidents are handled somewhat differently than a run-of-the-mill car accident. The trucking companies typically have specialized teams that they send out to the accident site, called “rapid-response” teams, so that they can perform a site investigation as quickly as possible after the collision. Sometimes only an hour after the accident has occurred, the trucking company has its personnel on-site. Their goal is to find evidence that will aid in the trucking company’s defense. If the victim is still at the scene, they will most likely ask you for a statement of what took place. Important – do not give any statements to the trucking company or to the insurance company! Your next step should be to retain an attorney who is experienced and well-versed in trucking cases. If you have not retained an attorney, chances are the insurance company will try to settle with you, offering you a settlement amount that is far below what you are entitled to. The dollar amount might sound tempting, but remember that they are not on your side. They are working for the trucking company. They want to settle the case as quickly and for as little money as possible. They are not going to offer you the full value of the claim that you are entitled to as a personal injury victim. They want to obtain your statement and get you to accept a settlement amount before a personal injury attorney is involved. Another way that trucking cases differ from an automobile collision is that these 18-wheelers normally have a “black box” in the truck that holds valuable information about the collision and how it occurred. You need to obtain a trucking attorney as soon as possible so that he can ensure that this information does not “disappear”, as has been known to happen. Your attorney will need to send the trucking company an evidence preservation letter as soon after the accident as possible, to ensure that this evidence is preserved and available for inspection by the plaintiff’s side. These are just a few of the ways in which trucking cases differ from more common automobile accidents. It’s imperative that you retain an attorney who has the specialized knowledge required of how to handle your truck collision case. If you or someone you know has been injured in an accident with an eighteen wheeler, please call our experienced Atlanta truck accident lawyers here at the Bennett Law Group. With years of experience defending victims of tractor trailer accidents, we are happy to discuss your options with you. Contact us online or call us at 404.541.9330. We look forward to hearing from you.